The Gus Darien Ice Arena generally opens the third week of December and closes the second week of February (weather and ice conditions-permitting). Ice maintenance occurs in the morning Monday-Friday, and the arena opens for skating at 12pm these days. Flood lights illuminate the ice until 9pm (please note that the lights will go off promptly and completely at this time). The Arena is reserved Wednesday nights in January and February from 6pm-10pm for the Carbondale Recreation Broomball League, and Tuesdays and Thursdays in January and February from 4pm-6:30pm for Youth Hockey Lessons. 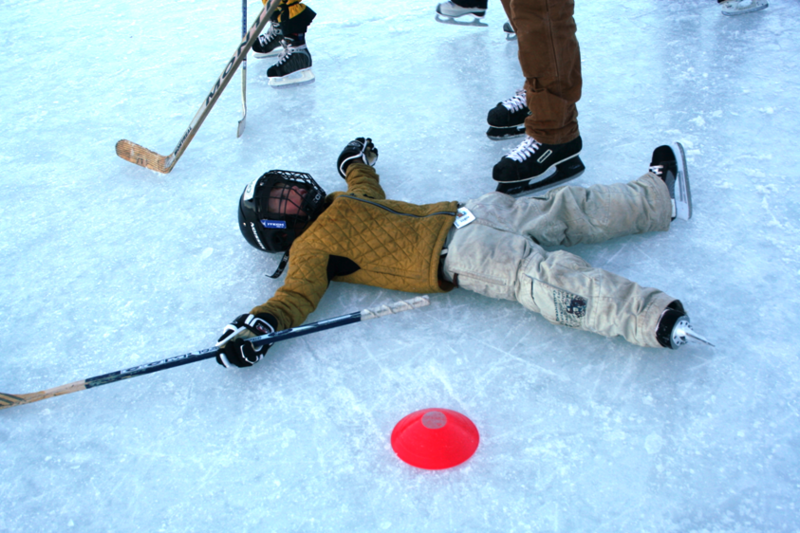 Drop-in hockey is allowed at the Arena unless there are programs or private rentals. However, hockey is not allowed to supersede recreational skating use except during scheduled drop-in times. Please respect other skaters and set up the goals accordingly to accommodate all user groups. Drop-in hockey times are Sunday, Tuesday, and Thursday from 7:30pm-9pm. The Arena is available for private half or full arena rentals. Please call 970.510.1290 for more information, including available times and dates, rates, and other details. Rentals are not allowed during scheduled programs, including open skate, or holidays (with the exception of school programs). Full Rink Rentals are limited to 2 hours. For the third year in a row, Carbondale Recreation will be maintaining a Downtown Ice Rink at the corner of 4th and Main. This rink is for skating only–absolutely NO stick or ball sports allowed. Rentals are not permitted at this rink. Ice maintenance occurs in the morning Monday-Friday, and the ice rink opens at 12pm these days. This Rink closes at 9pm. Carbondale Recreation reserves the right to close either the Arena or Downtown Rink or both at any time due to unsafe skating conditions. Ice Skate Rentals Carbondale Recreation has a limited selection of ice skates available to rent. Please visit the CRCC at 567 Colorado Avenue to check out our inventory. Rentals are available for $3 per pair of skates per day, or $10 per pair of skates for 3 days. Skate rentals are available on a first come, first served basis. Skate Sharpening Carbondale Recreation is pleased to be able to provide skate sharpening services. Skate sharpening is charged at $5 per pair of skates. As a general rule, turnaround time will be 48 hours (with the exception of weekends and holidays).